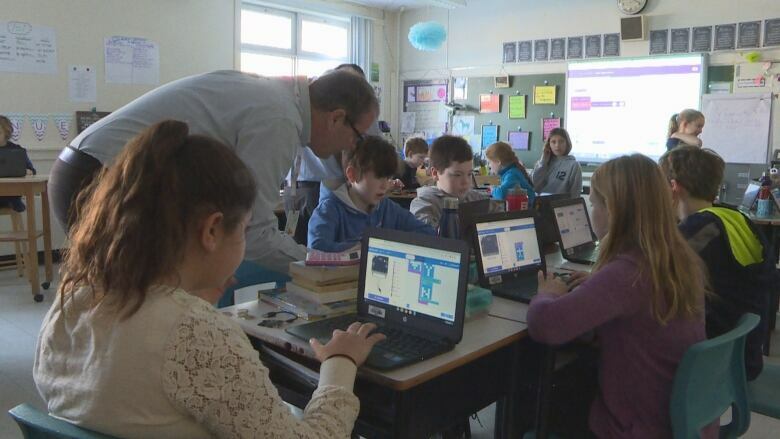 Students at West Kent Elementary School in Charlottetown spent part of Wednesday morning learning to bend small electronic devices to their will as part of the global educational event called the Hour of Code. 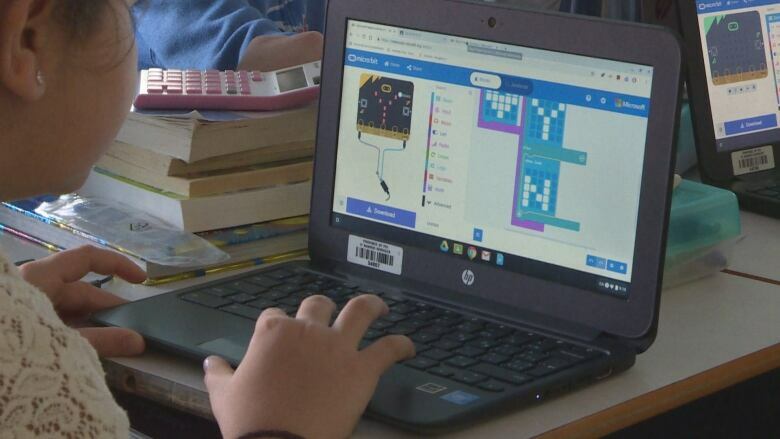 "It looks really complicated ... but then when you actually get to do it you are like 'oh, this is easier than I expected," said grade 5 student Ava Dow. Coding is the process by which computers are given instructions to create and execute programs. The students worked on laptops programing little robots called a Micro:bit to light up in specific sequences or play a variety of tones. Some even reacted to different motions to play games with each other. "We make little animations and we can put them on the Micro:bit and it is pretty cool," said grade 5 student Hallie Bernard. "Or we can play rock paper scissors and some other games ... everyone should try coding, it's really fun." More than a third of P.E.I. 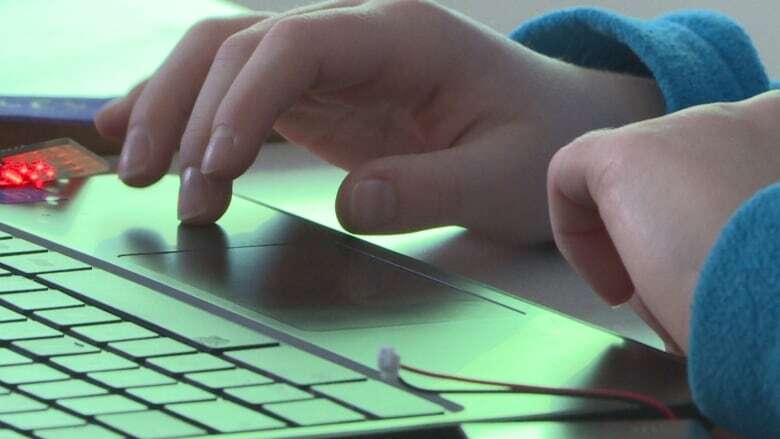 schools are taking part in Hour of Code events and online coding tutorials, which run from Dec. 3 - 9. The international coding program reaches millions of students in 180 countries. 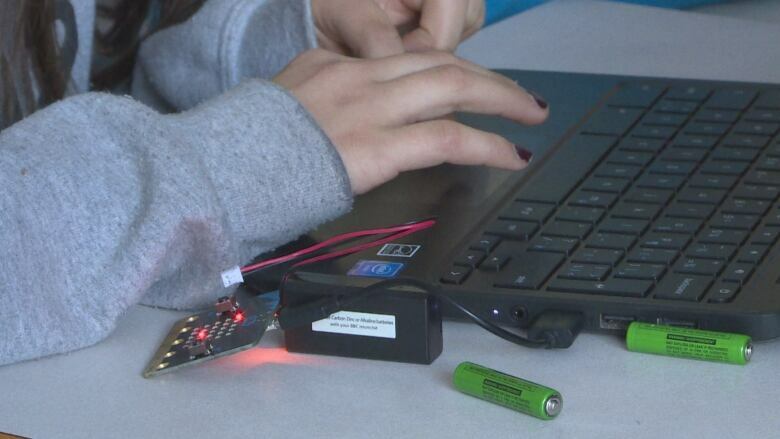 The program director for Brilliant Labs, the organization that facilitated Wednesday's workshop, said the activity would teach the students more than just coding and computational skills. "Also the ability to work as a team, to be collaborative, to be creative, to be innovators and also have that entrepreneurial mindset," said Carron McCabe. "These are skills that we all need to work and to thrive in our communities, especially in this 21st century kind of landscape." The students were also aware of larger context in which they could apply their burgeoning coding skills. "Anything in the future, because half the jobs that kids this age are going to get in the future haven't been invented yet," said student Beckett Quinn.